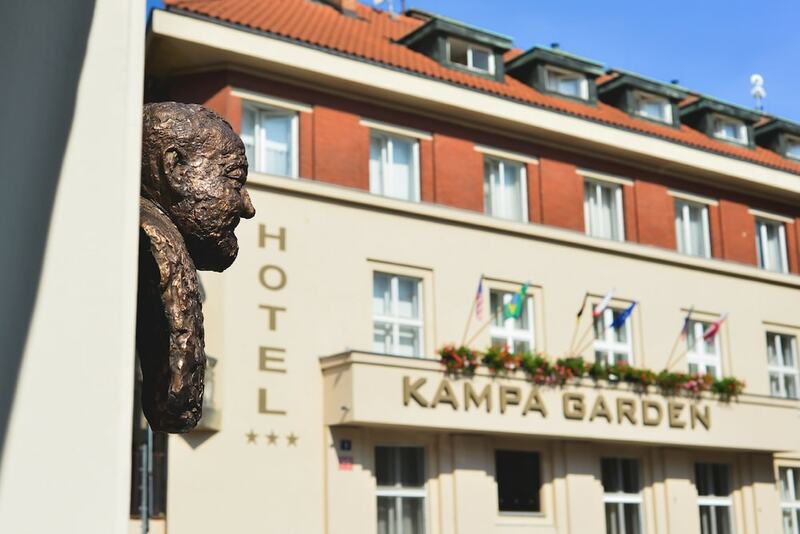 The Hotel Kampa Garden is located in the historical centre of Prague, just steps away from several popular touristic attractions such as the Charles Bridge and the Prague Castle. The premises of this hotel were renovated just a few years ago and now they offer better conveniences and a better service. All the rooms have a contemporaneous design with sift colours and elegant shapes. They offer different types of rooms: single, double and deluxe rooms, as well as suites, which offer a variety of conveniences such as air-conditioning, LCD TV, minibar, coffee maker and private bathroom. Superior rooms have additional spaces for your rest and entertainment. Also these rooms can accommodate additional beds and offer other services you might need during your stay. Some of these rooms have views to the river and to the Liechtenstein Palace. Every morning, a delicious breakfast prepared with local ingredients is served in the dining room. The premises are adapted for people with mobility disabilities. In the reception area you can check for availability of many other services such as the free internet access, a PC with an Internet connection located by the lobby, private parking for guests, laundry service, booking for the main cultural attractions and tourist information.